Home » News » News » Carol Lee leads a major reading for understanding project for Northwestern University. Carol Lee leads a major reading for understanding project for Northwestern University. Northwestern University is a member of a multi-institutional research team awarded a $19.2 million grant from the Institute of Education Sciences to study and improve reading comprehension among middle school and high school students. Professor Carol D. Lee of Northwestern University’s School of Education and Social Policy, a co-principal investigator, is leading the five-year project for Northwestern. “‘Reading for Understanding Across Grades 6 through 12: Evidence-based Argumentation for Disciplinary Learning’ will focus on supporting students in grades 6 through 12 to engage in disciplinary reasoning by synthesizing and interrogating across texts in order to construct arguments,” says Lee. The grant is funded through the Institute of Education Sciences’ Reading for Understanding Research Initiative, which is a network of six research teams that will develop approaches aimed at enabling students in pre-kindergarten to 12th grade to understand what they read. The University of Illinois at Chicago is the lead institution on the grant, and the other partners are Northern Illinois University, WestEd and Inquirium, an educational technology company started by graduates of the Learning Sciences program at SESP. The project will focus on advancing students’ abilities in reading comprehension and critical thinking. Researchers will study how students progress in their understanding of increasingly difficult texts over grades 6 to 12. The project will also develop tools to enable students to develop arguments in response to multiple text sources in literature, history and science. In addition, the Northwestern team led by Lee, with the assistance of Inquirium, will develop a software tool to support readers struggling in the content areas of literature, history and science. The team will also develop assessments of response to literature and a longitudinal study of high school students’ social, emotional and cognitive development as readers. Susan Goldman of the University of Illinois is the project’s principal investigator, and the other co-principal investigators are M. Ann Britt of Northern Illinois and Cynthia Greenleaf of WestEd. Matthew Brown (PhD02) is the lead principal investigator for Inquirium, a company that creates compelling problem-based environments for learners, and innovative information analysis tools for teachers and researchers. Inquirium was founded by Brown, Eric Baumgartner (PhD00), Ben Loh (PhD03), Brian Smith (PhD98) and originally Nichole Pinkard (PhD98), who now leads the award-winning Digital Media Project at DePaul University. Professor Lee is the immediate past president of the American Educational Research Association, a member of the National Academy of Education, a fellow of the National Conference of Research on Language and Literacy, and a former fellow at the Center for Advanced Studies in the Behavioral Sciences. 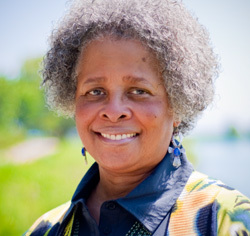 She has been a member of the faculty of the School of Education and Social Policy and African American Studies since 1991. Other members of the Northwestern team include Margaret Beale Spencer and George Hillocks of the University of Chicago, Larry Ludlow of Boston University, Davido DuPree and Suzanne Fagley of the University of Pennsylvania, and Lauren Banks Amos of the American Institute for Research. “Over the course of five years of the initiative, the six project teams of the Reading for Understanding Research Initiative will form a network to share findings and engage in collaborations that can help the country gain better traction over the persistent challenges of helping all students learn to read with deep comprehension,” says Lee. For additional information on this project, visit http://www.uic.edu and http://www2.ed.gov/about/offices/list/ies/. ← UIC to lead a $19 million reading for understanding project.